Every golfer will agree that once you learn the basics of how to swing a club and the mechanics involved, golf is primarily a mental game. Golfers such as Arnold Palmer, Jack Nicklaus, Tiger Woods, Tom Watson, and Bobby Jones have spoken out on the merits of having mental focus, toughness and concentration to have true success on the course. However, even though everyone knows that as much as 90% of golf is mental, how many golfers truly ride the edge and maximize their potential? I never hit a shot, not even in practice, without having a very sharp, in focus picture of it in my head. It’s like a colour movie. First I see the ball where I want it to finish, nice and white and sitting up high on bright green grass. Then the scene quickly changes and I see the ball going there: its path, trajectory and shape, even its behaviour on landing. Then there is a sort of fade out and the next scene shows me making the kind of swing that will turn the previous images into reality. Are you using your mind to it’s fullest potential, or might you have mental blockages sabotaging your success? Ask yourself if you have ever scored really well on the front 9, and somehow managed to throw it all away on the back 9, or vice versa! It is because mentally you “must” hit your number because that is what you believe is possible. Learn the secrets of the professionals – having a good hypnotist in their arsenal! 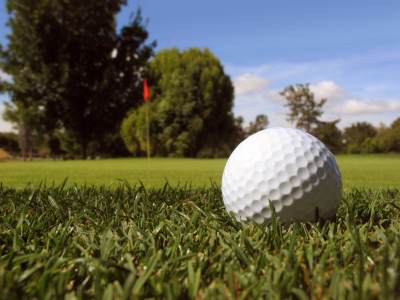 Request a consultation about Hypnosis for Golf below. While our focus is on assisting the professional golfer to get their mindset that much better, we work with golfers of all levels. Whether you would just like to break 90, or you’d like to maintain a high level of concentration through a competitive 3-day tournament, we tailor the sessions to work with you and your game individually. It’s now time to unleash the power of your own mind to assist you in your golf game. Call us today to start improving!